The west has some amazing parks and the diversification is mind blowing. 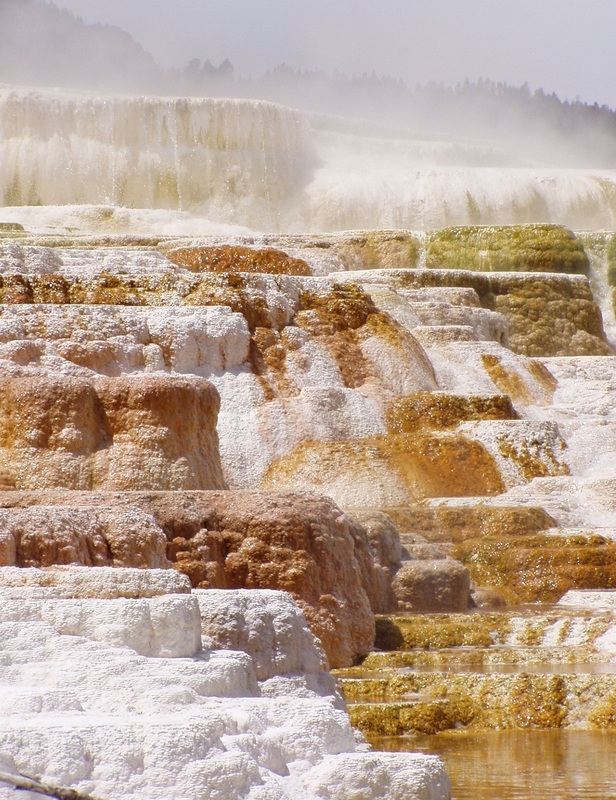 In 1872 when Ulysses S Grant declared Yellowstone as America’s first National Park, the nation preserved a treasure. 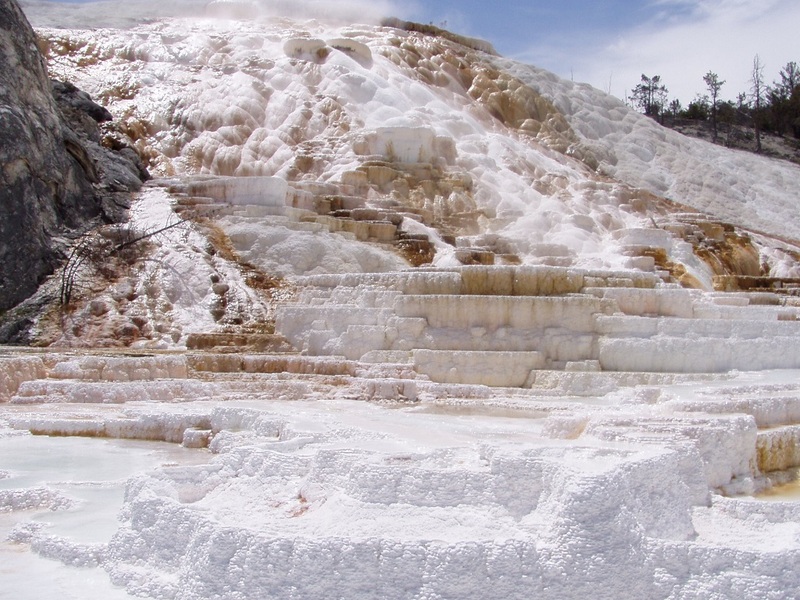 Containing the majority of the world’s geysers, Yellowstone is a massive park and a one stop destination for exploration. Ask potential first time visitors what they are excited for and the response might be, ‘buffalo, grizzly’s, moose, mountains, geysers and hiking.’ I said all of those things too, but what I didn’t realize was just how stunning the geothermal features of the park were. Ever since I was a kid, I knew Old Faithful would be cool to watch explode, but I never knew all the other beautiful geological features I would see. Here is a look at just a sampling of some of the parks natural beauty and unique geologic features. 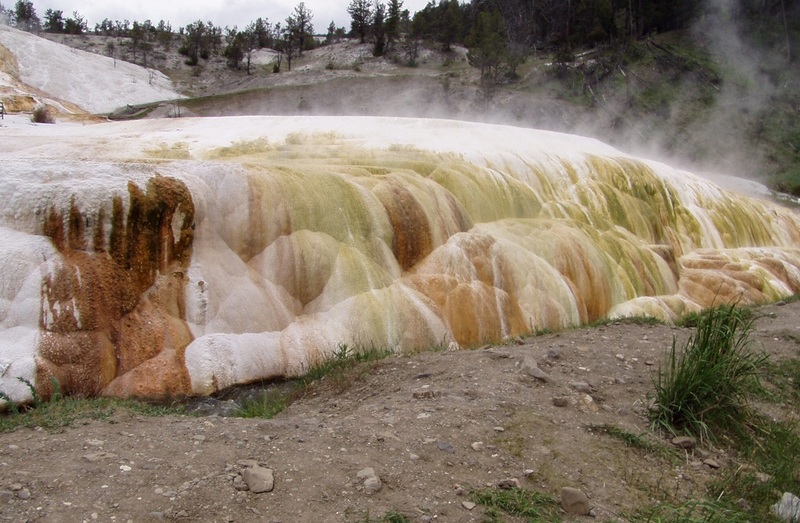 Known for it’s geothermal activity, Yellowstone has the greatest concentration of geysers in the world. 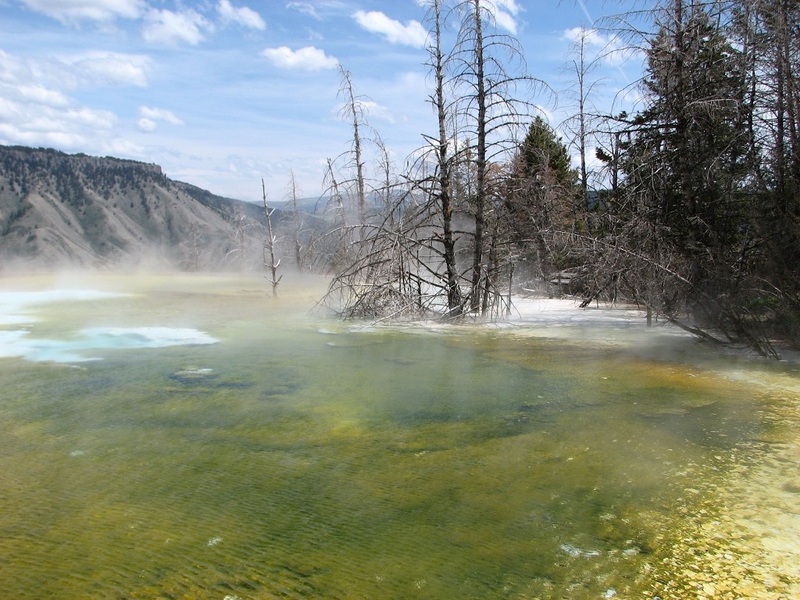 All the bright colors in the water come from thermophiles which are microorganisms that thrive in hot temperatures. So many individuals are grouped together in the trillions they appear as a mass of color. Sitting on the Yellowstone Plateau at approximately 8000 feet above sea level the park is located in three states, Wyoming, Montana and Idaho as well as encompassing two national parks, portions of five national forests, three national wildlife refuges, Bureau of Land Management holdings and private and tribal lands. 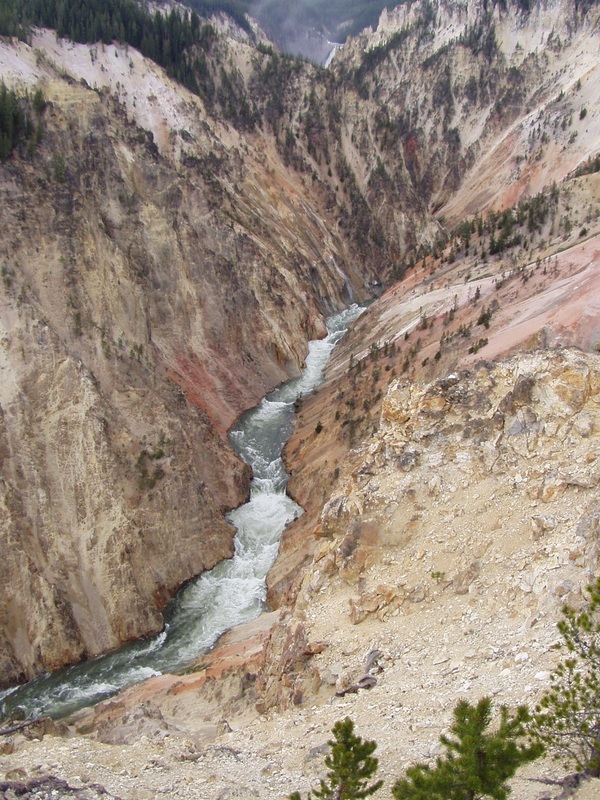 Prior to going, I had no idea just how cool Yellowstone was, nor really comprehended how big it is. At approximately 2,219,791 acres the park is one of the largest, nearly intact temperate zone ecosystems on earth. 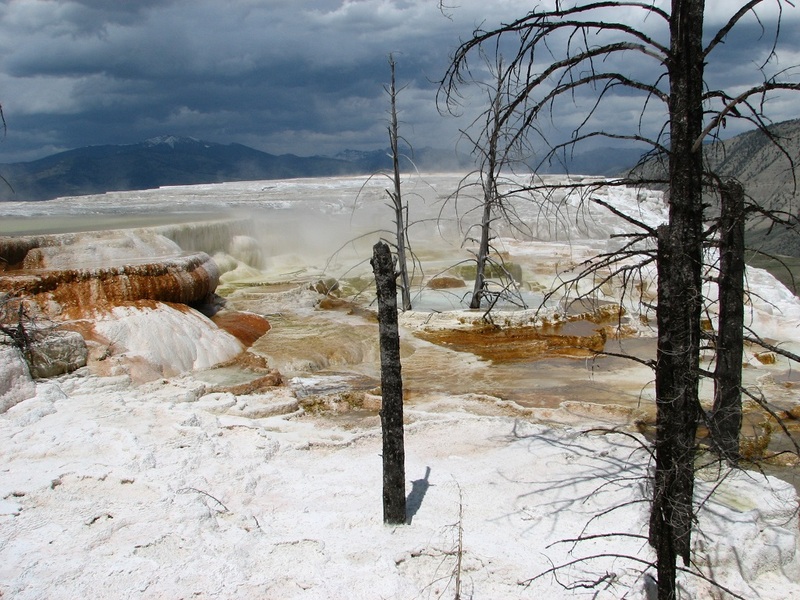 Yellowstone is like walking on one big volcano and has the three components necessary for geysers and other hydrothermal features. Magma beneath the surface provides heat, lots of rain and snowfall seep into the ground providing water and cracks and fissures form the plumbing. 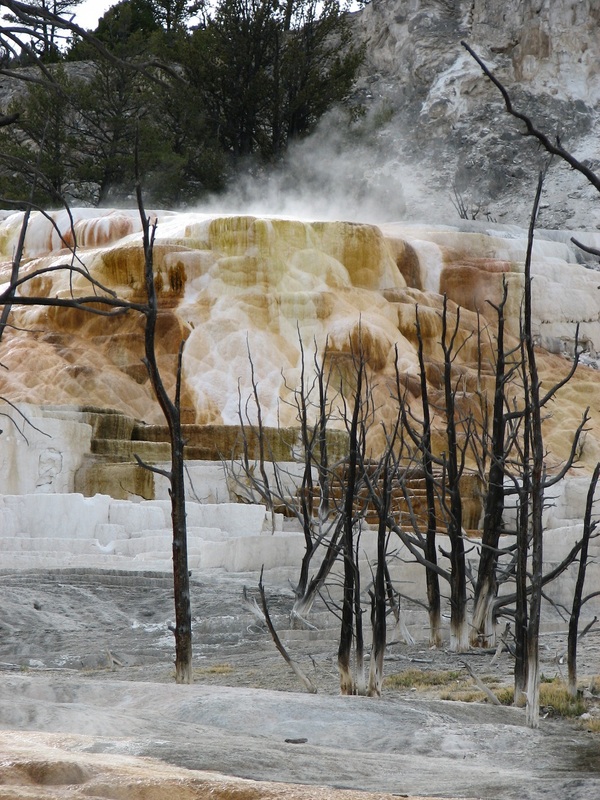 Hot water rises through the cracks and all around the park these hydro-thermal features form and display their beauty. To me all these geothermal features were works of art in themselves. 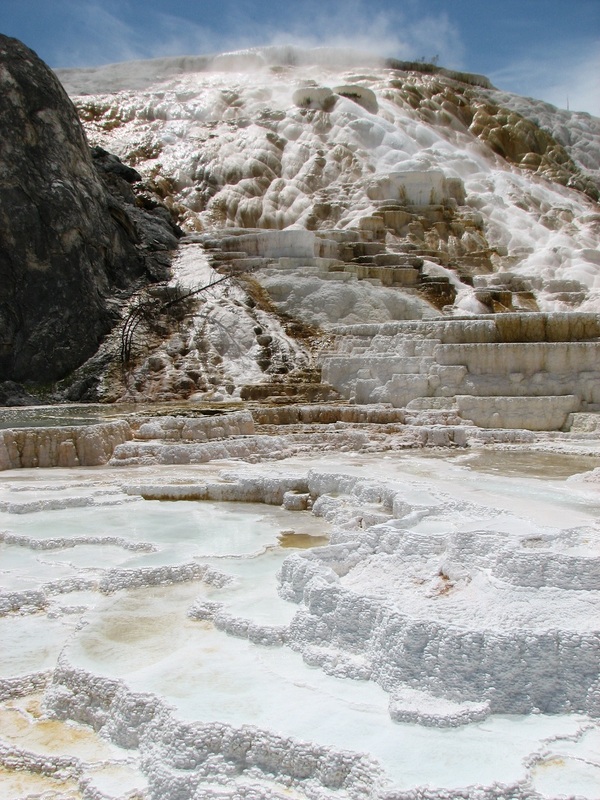 In the park there are over 10,000 hydrothermal features, around 300 active geysers and about 290 water falls. I loved being able to hike along this trail and have an inclination of what was coming up but still be surprised. All this crusty surface that looks like snow was so intriguing to me. Geologists can spend a whole life time studying and talking about all the terms of what you see in the photo above. Here is my less scientific breakdown of how this all happens. Underneath all this is partially molten magma which releases a tremendous amount of heat. Cold water from rain and snow melt will eventually make its way through the ground and meets the hot water below. This super heated water can exceeds temperatures of 400 F.
The super heated water makes it’s way back up to the surface through the cracks, or the plumbing as referred to earlier. Along the way up, some silica will dissolve into the water and at the surface, this forms siliceous sinter. 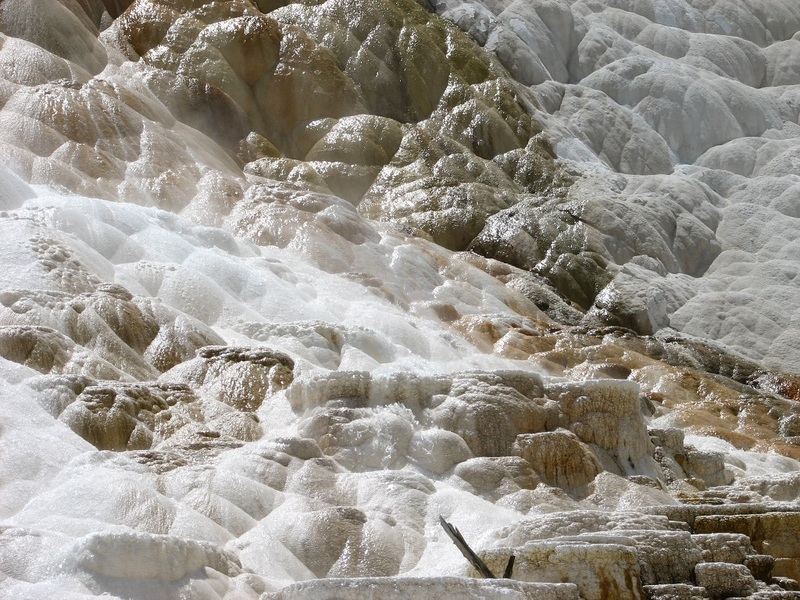 And this, in case you have been wondering like I did, is what forms the scalloped edges of the hot springs. The siliceous sinter deposits have almost a cauliflower like surface known as geyserite. Yellowstone was such an awesome park to visit. The amount of geothermal activity to observe just blew my mind. 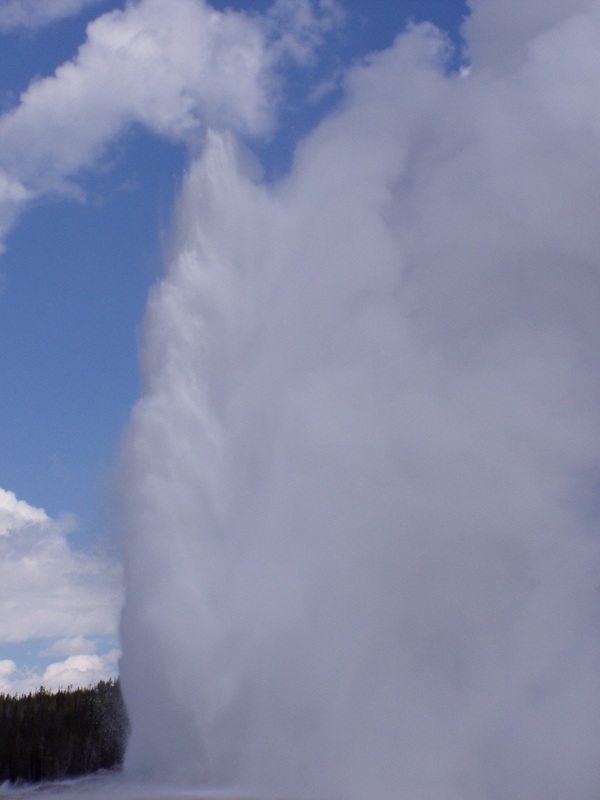 After visiting other parks and areas of the world with geysers, nothing could compare to spending even just a few days in Yellowstone. 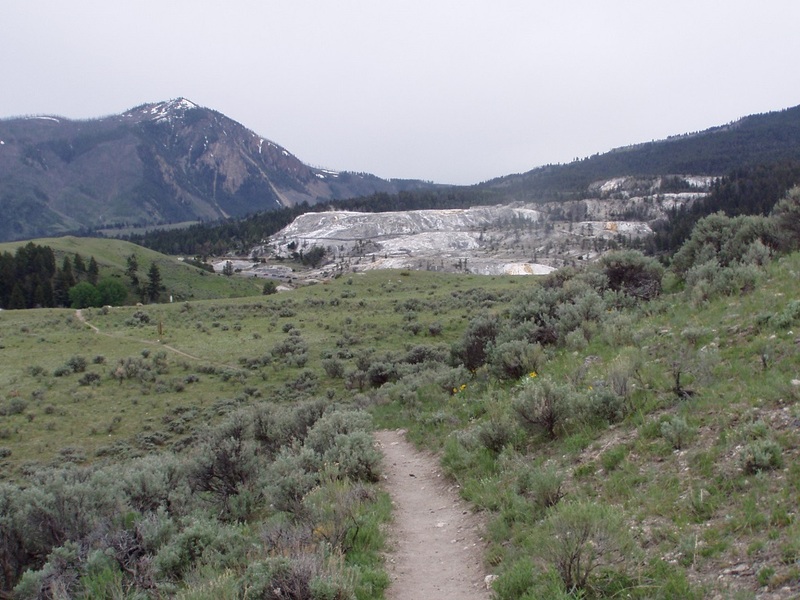 If you are looking for your next all inclusive park to give you a wildlife, culture, adventure, scenery and watch continuous explosions as you sit on a bench while eating a snack, then make your way to Yellowstone National Park. Your next adventure awaits. First point of reference, browse all around the national park page. DO NOT ignore the animal warnings. DO NOT approach buffalo or leave food out at your camp. Accidents and deaths happen when people think these warnings are just mediocre. If you are not familiar with Leave No Trace principles, ask a ranger or park staff for help. Visitors careless actions can lead to the very wildlife they came to see in the first place getting put down. Camping facilities are great in the park and a way that we save a lot of money on travel. If you are not sure what gear to get, check out this post. How could I choose between Paris and London? WOW! Beautiful trip through Yellowstone with you! One of the most unreal places on earth. I really appreciate all the helpful links at the end of the post. Thanks. Visiting Yellowstone was such a highlight. We spent about a week there, but I would go back again and again. There are so many different aspects to learn about the park. It is one of the most unique parks I have been too. Wow! Great photography! It is really is incredible! They are so beautiful and look like frozen colored foam! Thank you! I think I could drive around Yellowstone for a long time taking pictures. It is such a unique park. I can’t wait to go back.